Vitamin C slows cancer down and can reverse it as well! "We found that daily intakes of vitamin D by adults in the range of 4000-8000 IU are needed to maintain blood levels of vitamin D metabolites in the range needed to reduce by about half the risk of several diseases -- breast cancer, colon cancer, multiple sclerosis, and type 1 diabetes." The Vitamin D Council (www.vitamindcouncil.org) is a nonprofit organization that focuses on educating the public and health care sectors on the importance of vitamin D and its relation to human health. Suppressed immune system and influenza: The seasonal nature of flu may indicate that influenza is caused by a vitamin D deficiency. Vitamin D is also known as “the sunshine vitamin” as it is formed when our skin is exposed to sunlight. During the winter months, sunlight decreases and the occurrence of the flu increases. Vitamin D regulates the genes that influence our immune system to attack and destroy bacteria and viruses. When vitamin D levels are low, the flu virus is able to overtake the immune system. This theory was presented by Dr. John Cannell and research associates in the journal Epidemiology and Infection in 2006. ... we don't get at least 15 minutes a day of direct sun exposure (unbroken by glass, i.e., window). People in the northern hemisphere - especially during the winter months - may not have access to sufficient levels of natural sun light. ... also the color of your skin is a factor - for example, the darker your skin, the more Vitamin D you are likely to need. ,,, relying on supplements alone ... Some people cannot absorb any kind of vitamin D except from the sun (or a tanning bed or full spectrum lights with UVA/UVB bulbs). Others may require an injection by the doctor of vitamin D. It is not a common problem that supplements of cholecalciferol D3 cannot be absorbed by a person, but it does happen at times. Researchers found that vitamin D can cut your risk by as much as 60 percent! Dr. William Grant, Ph.D. lead a study that found that about 30 percent of cancer deaths could be prevented each year with higher levels of vitamin D.
Colorectal & Breast Cancer: Cedric F. Garland, Dr.P.H., cancer prevention specialist at the Moores Cancer Center at the University of California, San Diego (UCSD) and colleagues estimate that 250,000 cases of colorectal cancer and 350,000 cases of breast cancer could be prevented worldwide by increasing intake of vitamin D, particularly in countries north of the equator. According to Dr. Garland, vitamin D blood levels can predict colon cancer risk. He examined 25,620 blood samples collected in Maryland in 1974 for vitamin D content. Then he compared colon cancer rates over the next eight years. He concluded that those with high blood levels of vitamin D were 70 percent less likely to develop colon cancer. Kidney Cancer: According to a study published in JAMA, a common kidney cancer may be thwarted by eating fatty cold-water fish at least once a week. Fatty fish, like salmon, herring, sardines and mackerel, is known for its high amounts of omega-3 polyunsaturated fatty acids and vitamin D content. The study specifically compared intake of fatty fish to lean fish, including cod and tuna, as well as other seafood, such as shrimp, lobster and crayfish, and examined the risk of Renal Cell Carcinoma (RCC) in the group of more than 61,000 Swedish women. The women were followed over a period of 15 years. Those who reported consistent long-term consumption of fatty fish had a statistically significant 74 percent lower risk of RCC. Lean fish, however, did not provide a benefit. Vitamin D is available through diet, supplements and exposure of the skin to sunlight. The serum level recommended by the study would correspond to intake of 2000 International Units per day of vitamin D for a meaningful reduction in colorectal cancer. The researchers recommend 2000 IU/day, plus, when weather allows, a few minutes in the sun with at least 40% of the skin exposed, for a meaningful reduction in breast cancer incidence, unless the individual has a history of skin cancer or a photosensitivity disease. Note: Excessive exposure to sunlight does not result in vitamin D3 intoxication. The U.S. Department of Agriculture's Nutrient Database Web site, http://www.nal.usda.gov/fnic/foodcomp/search/ , lists the nutrient content of many foods; relatively few have been analyzed for vitamin D content. Alzheimer's Disease / Memory Function:: Vitamin D may mitigate free radicals in red blood cells, possibly maximizing their nutrient-carrying capacity. (Recommended dosages are usually between 200 IU to 400 IU per day - discuss with your doctor). Arteriosclerosis: Vitamin D3, Calcium and Magnesium, in addition to Vitamin D3 (chelated forms) maintain muscle tone in the blood vessels. Arthritis: Laboratory research has shown that not only can cod liver oil treat arthritis, but actually reverse the damage that has been done. A new study shows that vitamin D in cod liver oil will not allow your immune system to attack your joints. Study participants who got the most vitamin D from the oil had the lowest risk of arthritis. Dr. James Dowd, leading rheumatologist and researcher, who works at the Arthritis Institute of Michigan, has been prescribing vitamin D to people suffering from chronic disorders, such as arthritis, back pain and headaches, and he claims that there is significant improvement in their symptoms. In this book, The Vitamin D Cure, Dr. Dowd lists a number of success stories using his approach. Dr. James Dowd reveals the causes of vitamin D deficiency and offers a simple, easy-to-follow five-step program that can eliminate or alleviate a host of seemingly incurable conditions, such as arthritis, in as little as six weeks. He states that by staying on the program, you can enjoy robust health and improved fitness for the rest of your life. We need exposure to UVA and UVB rays from direct sunlight or full-spectrum lighting to synthesize vitamin D necessary for bone health. Window glass blocks necessary UV rays. 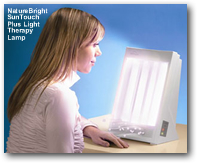 15 minutes a day of direct sun light exposure has been recommended. If fairly strong sunlight is not available, and we can get vitamin D from oily fish (please refer to fish oil or click here to find the best and the worst fish to eat) and a few other fortified foods or supplements (i.e. Cod Liver Oil - some lemon-flavored cod liver oils are pleasant to take). Heart Health: Scientists analyzed medical records and blood samples from 454 men, aged 40 to 75, who had a nonfatal heart attack or fatal heart disease, and compared them to 900 men who had no history of cardiovascular disease. Men with a vitamin D deficiency (15 nanograms or less per milliliter of blood) had a higher risk of heart attack than those with a sufficient amount of vitamin D (30 nanograms per milliliter of blood or more). Dental Health: Secondary dentine, a less well-organized form of tubular dentine, is produced throughout life as a patching material where cavities have begun, where the overlying enamel has been worn away, and within the pulp chamber as part of the aging process. Sometimes when cavities occur, production of secondary dentine can "heal" the decayed spot or rebuild portions of the tooth that have worn away. If vitamin D is adequate, secondary dentine will be well calcified. If vitamin D is lacking, dentine will be of poor quality or not present at all. Flu / Common Cold : A theory in the scientific community explains flu epidemics as a result of a dormant disease caused by vitamin D deficiency. This theory would explain why flu epidemics usually occur when vitamin D-producing sunlight is reduced by a winter or rainy season. Recent evidence confirms that lower respiratory tract infections are more frequent in those with low levels of vitamin D. Researchers have also found that 2,000 IU of vitamin D per day abolished the seasonality of influenza, and dramatically reduced its incidence. According to an article in the December issue of Epidemiology and Infection, vitamin D boosts expression of antimicrobial compounds in the respiratory tract, helping protect the lungs from infections, such as the influenza (flu) virus. Numerous studies confirmed that ultra-violet radiation and D-rich Cod Liver Oil both reduce the incidence of respiratory infections. Vitamin D stimulates our body to make a powerful germ-fighting substance called cathelicidin. Some scientists believe that cathelicidin just might be the most powerful natural antibiotic ever discovered! It all makes sense. We mainly get sick in the winter when our bodies make less Vitamin D as there is less sunlight. Actions to take: During the summer make sure to spend at least 15 minutes outside every day and during the winter, spring and fall, you may want to take a vitamin D supplement. A recommended doses for most people may be 5,000 i.u. per day of D3 (the same form of the vitamin our body makes) - discuss with your doctor. (Source:"Second Opinion" Magazine, Special Issue, Winter 2008). Vitamin D protects us against a host of other illnesses as well, including osteoporosis and cancer. Knees / Muscles: Research linked higher vitamin D levels to improved muscle strength and function in the knee. (Source: "Effects of Antioxidants on Knee Cartilage and Bone in Healthy, Middle-aged Subjects" by Y. Wang at al, Arthritis Res. Ther. 7/6/07; "Vitamin D Improves Symptoms of Knee Osteoarthritis," www.nutrainingredients.com, 10/21/04).